Gabriel Kuri. Waiting stub lettuce, 2004. 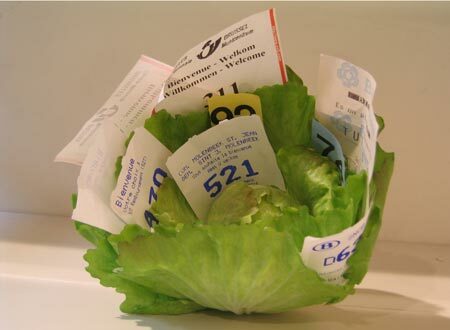 Plastic lettuce and waiting (turn) stubs. 15 cm diam. Gabriel Kuri. Untitled (Kiss), 2006. 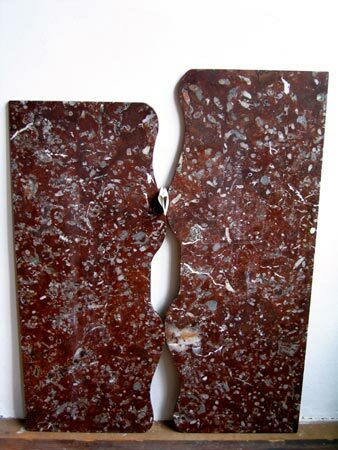 Two turn stubs obtained in post office held between two found marble slabs. 110 x 25 cm each.